The Park offers two circular way-marked routes around the Park. Alternatively, pick up a leaflet from the Visitor Centre and either follow the Welcome Trail or explorer the Park for yourself. • The Red Route takes you on a surfaced path through the woodland and around the beautiful Grebe Lake. It is approximately 1.6 miles (2.5km) and takes you about 45 minutes walking at a leisurely pace. This route is described in detail in the Welcome Trail leaflet available free from the Visitors’ Centre. • The Green Route is not surfaced and takes you across the river meadows along the banks of the river Great Ouse and around Kingfisher Water. It is approximately 1.4 miles (2.25km) and also takes about 45 minutes walking at a leisurely pace. This route can get wet and muddy in winter or after wet weather. This free leaflet is available from the leaflet rack in the Visitors' Centre. It provides a handy guide to an introductory walk around the park. 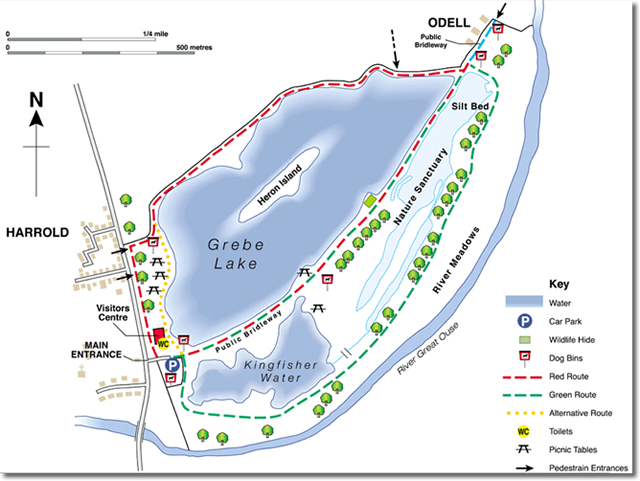 The route follows a set of 14 numbered marker posts and uses the all-weather pathway around the large (Grebe) Lake. Including stops to read the guide, it takes about 90 minutes. Click here to view and/or print the Welcome Trail map. Note, it's also available in the trail leaflet. It is generally accepted that walking is good for us all. 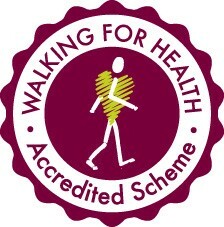 With this in mind, the Park offers a regular series of pleasant guided walks aimed at providing healthy exercise. 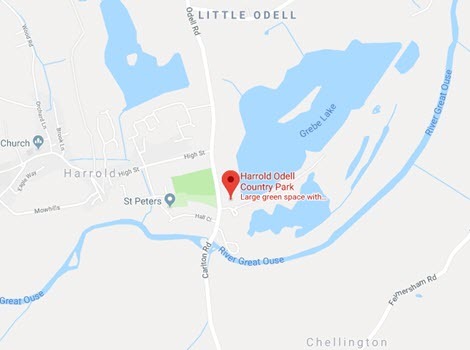 These are led by a trained leader, Janet Munro, who is also a member of the Bedford Borough Greenspace Team that manages the Park. Each walk starts at the Visitors' Centre in the Park. Dates can be found in the Health Walks section of this website and are also posted on the Park notice board and appear in the Friends' Newsletter.